Samājatantra o saṃskr̥ti / Rabīndra Gupta. Kalakātā : Cirāẏata Prakāśana, 1983. From the University of Chicago Library. সমাজতন্ত্র ও সংস্কৃতি Samajtantra O Sanskriti by রবীন্দ্র গুপ্ত Rabindra Gupta. 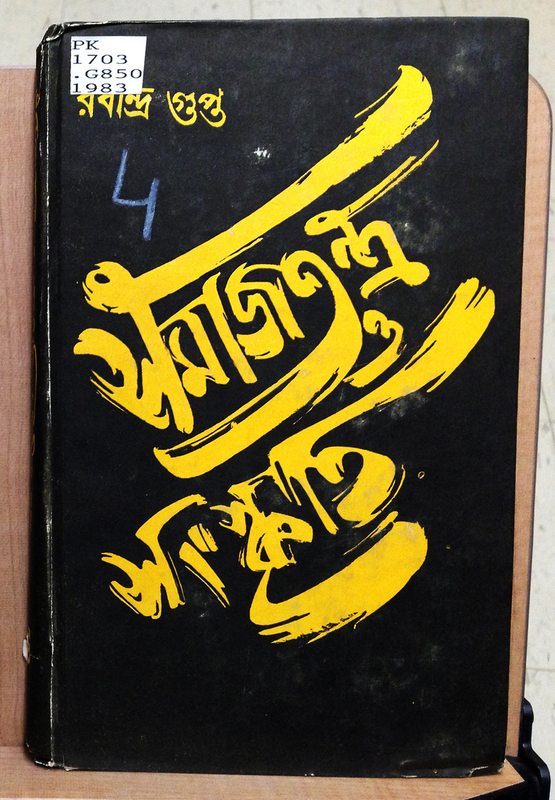 What a fantastic brushy script – I love the exaggerated ত and ৃ that add some balance to the other dominant strokes. *also, apologies for the “4” on a lot of these covers. Those indicate what floor of the library the book should be shelved. Too bad they’re so prominent!